My Edinburgh stockists have been keeping me busy over the last few weeks on the run up to Christmas. 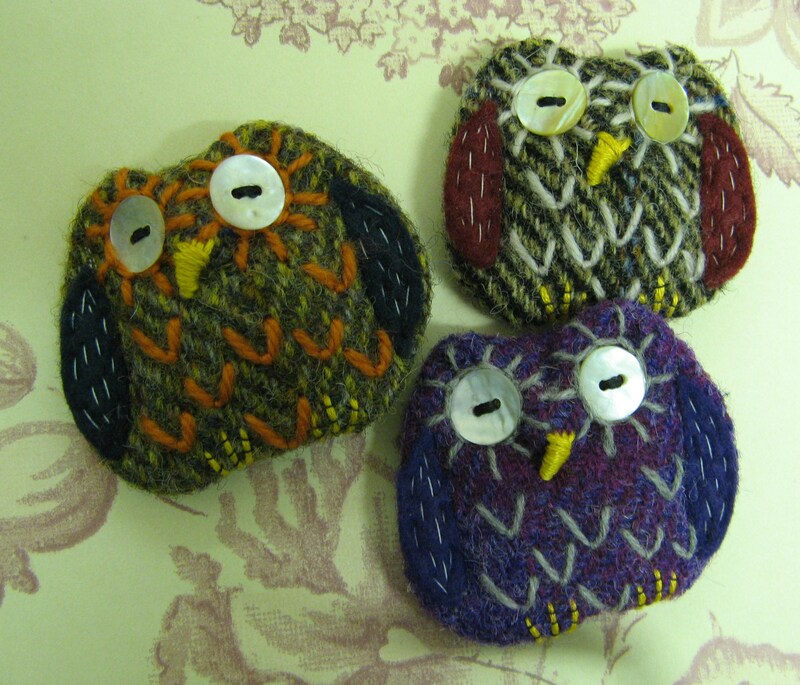 I`ve been making lots of all my best sellers to keep them topped up. 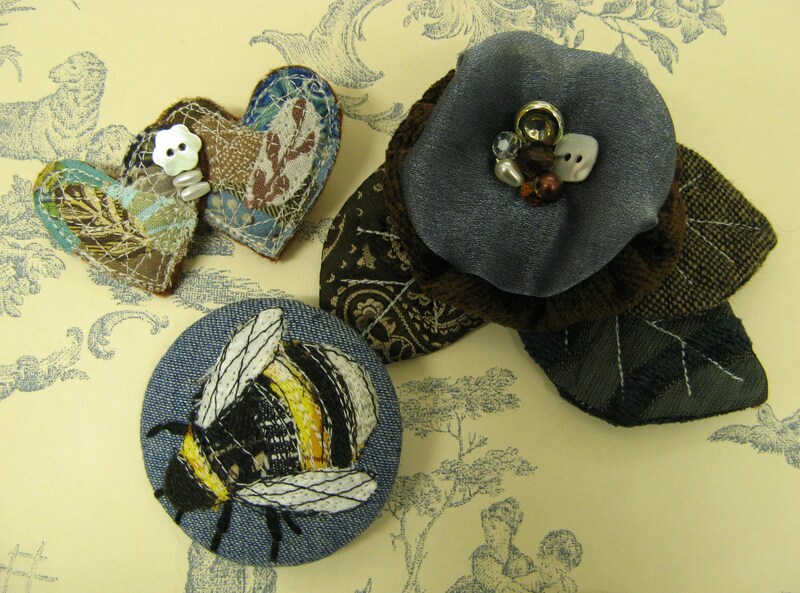 This batch of heart brooches were for Flux in Leith. 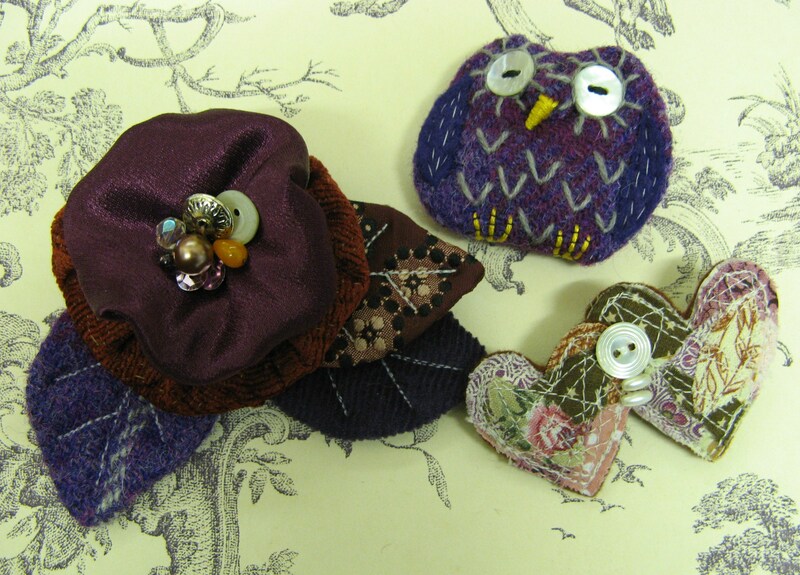 Some of my favourite brooches to make for Autumn/Winter are my leaf corsages. 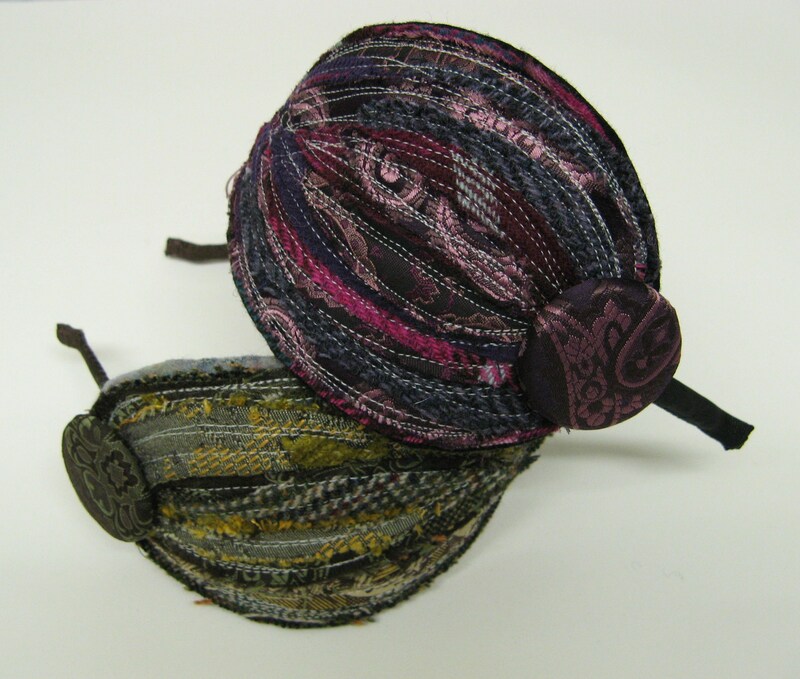 Inspired by Autumn leaves, they`re made from recycled tweed and felt which I`ve dyed in leafy colours. 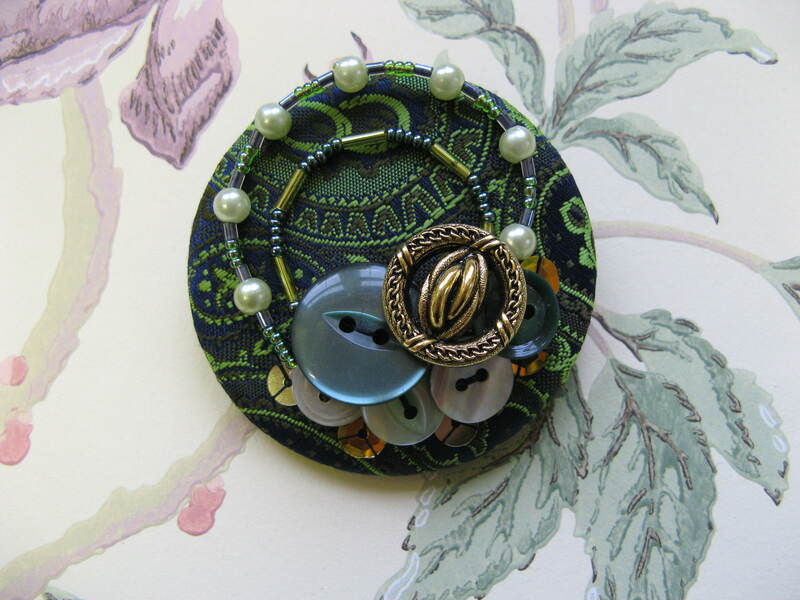 Each corsage is made up of a layer of four leaves, finished off with a rustic wooden button. The leaf shapes are ‘drawn’ freehand on the sewing machine so they are all slightly different. 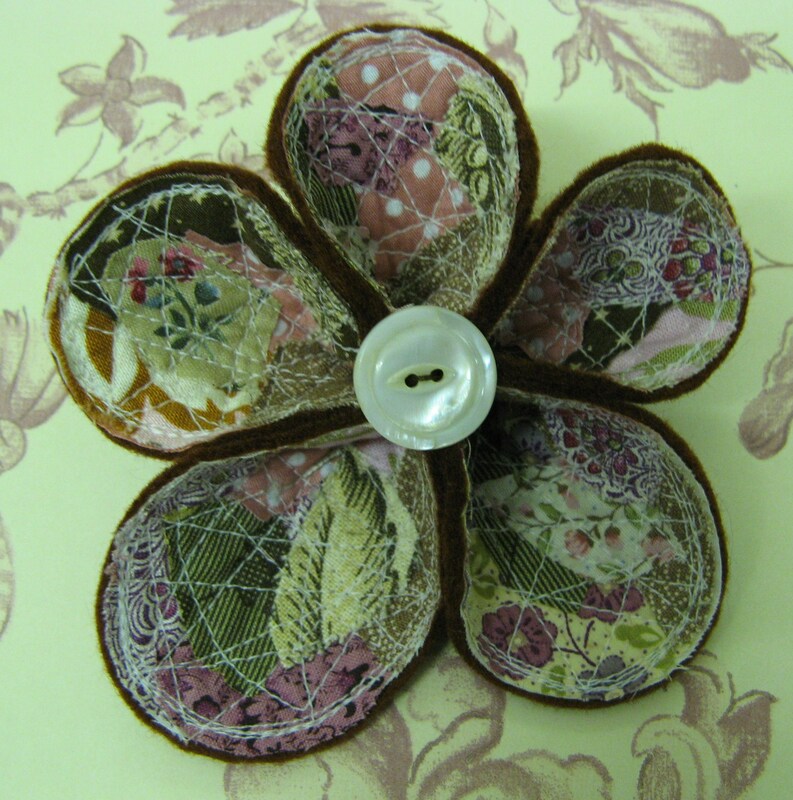 My new layered corsages have been selling well and I`ve just finished my fourth batch of them. 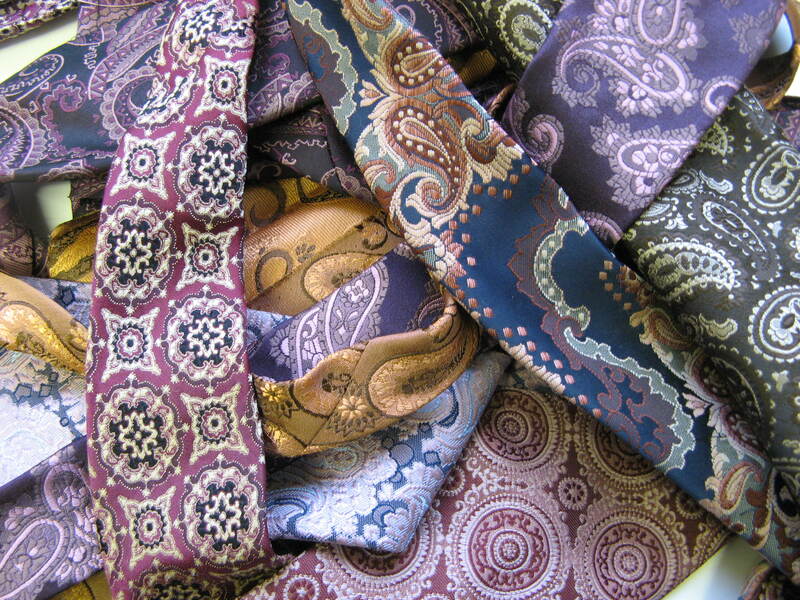 I made some lovely muted ones using recycled velvets and brocades mixed with voiles, tweeds and vintage ties. I even made myself a silvery one to wear on my sparkly Christmas jumper! The corsages inspired some little fascinators which I made for Miss Katie Cupcake in Cockburn street. 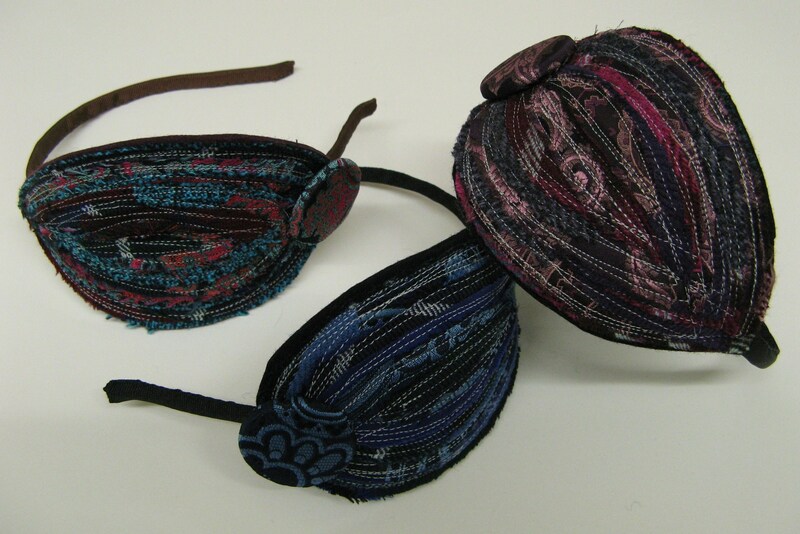 The flowers are layered onto black felt with lots of net. 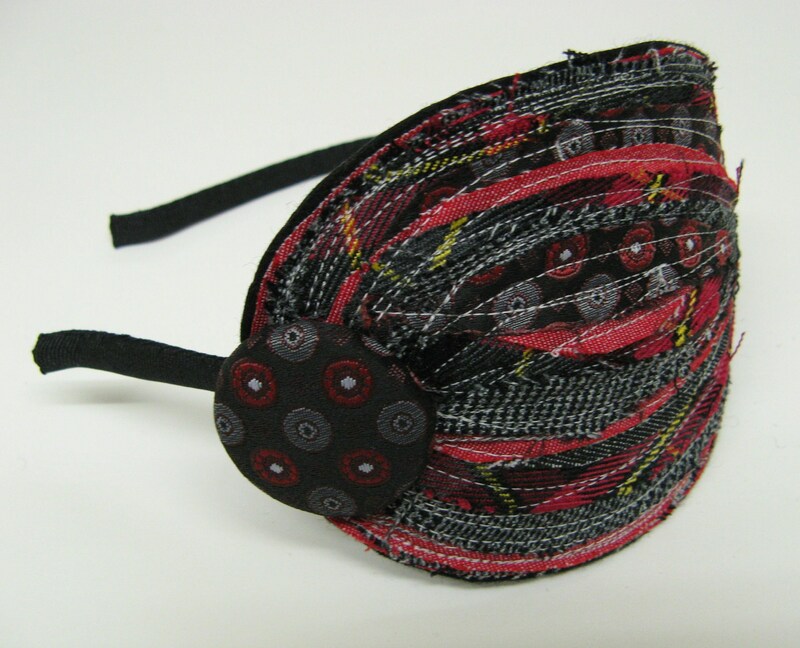 I made them on hairbands so they are very easy to wear, perfect for a Christmas party! Yesterday I took some time off to gather greenery from the garden to make a wreath for the front door and lots of bunches to hang up in the cottage. I used lots of textures and leaf shapes, mixing holly and ivy with hebe, laurel, golden privet and other evergreens. I always add a few sprigs of rosemary to the indoor garlands for the lovely scent. Merry Christmas to all and best wishes for 2013! Look out for my online shop, opening soon in the New Year. Hooray for vintage ties! 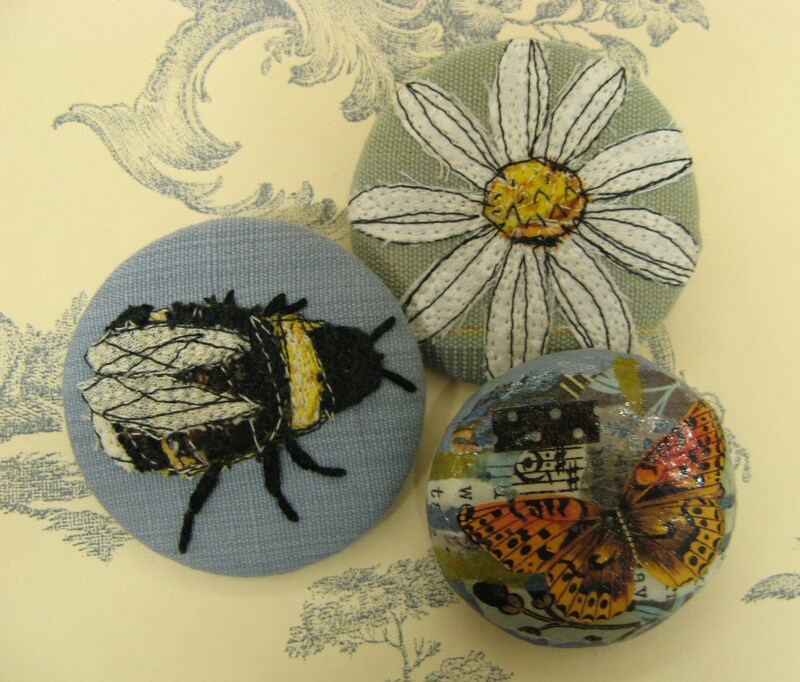 This lovely lot is a selection from my new tie collection and I`m loving dipping into this goldmine of mini textiles. 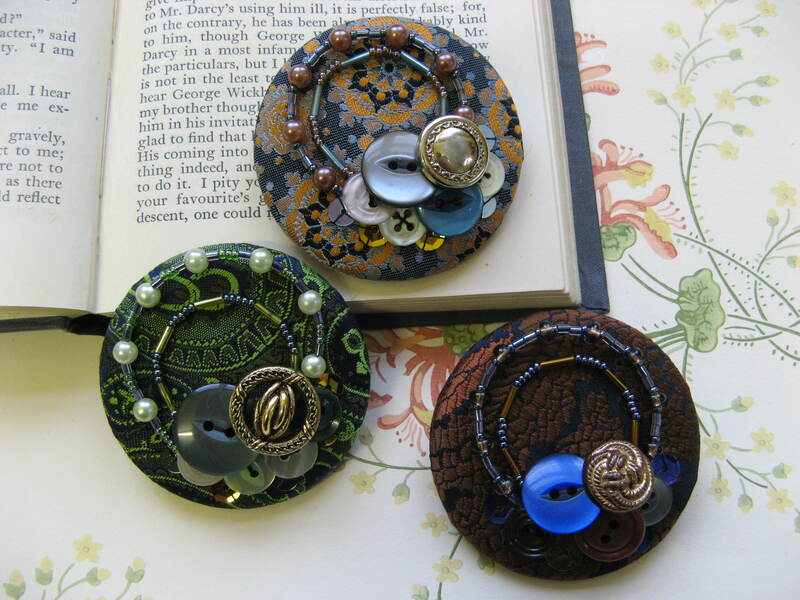 This week I decided to make some more loopy brooches. 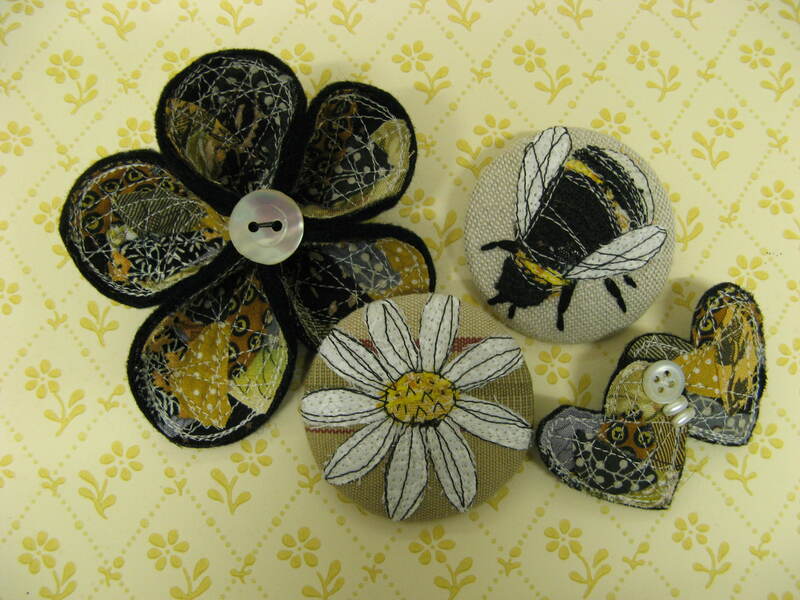 I`ve been making versions of these brooches for a couple of years and they are always a favourite to make. I used to make them from vintage furnishing fabrics but now I enjoy using my new love- vintage ties! 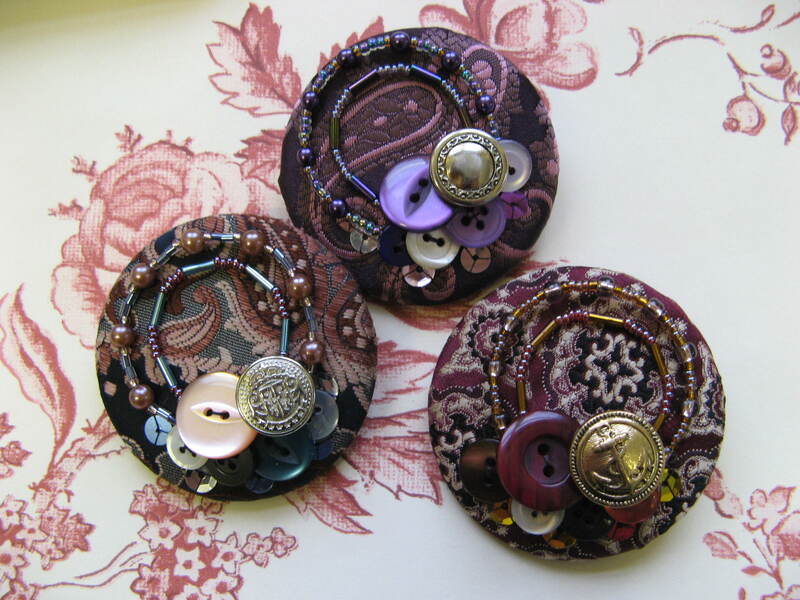 Two beaded loops are finished off with vintage buttons. A few strategically placed sequins add a touch of sparkle. They are easy to wear and look great on the lapel of a jacket . I`ll be topping up my stockists with more loopy brooches, remembering to put some away for my online shop, which I promise is coming soon…..!